Assassin's Creed + Metroid + Grand Theft Auto. It's perfect in that there's nothing about it that I look at and say "I wish that was different". Combat is tight and even more varied & enjoyable than Arkham Asylum. The voice acting and dialogue are spot on, including the occasional cheesy inside jokes. The setpieces are beautiful and inspired. The story is complex without becoming diluted. The play area is big enough to make you feel like you're actually in a living city, but not so big you can't over come the initial sense of overwhelming. The only (debatable) fault was the difficulty of some of the puzzles/challenges. There were a couple I spent way too long on, only to realize I was overthinking it and then spent the next 10 minutes feeling like an idiot not worthy to wear the cowl. I finished my first playthrough last night. I made a huge effort to complete all of the side missions (minus the riddler trophies) before completing the story. 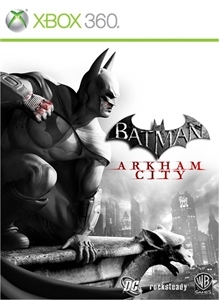 The game easily has twice the content as Arkham Asylum, and Arkham Asylum wasn't a small game. What's impressive is the even with the 40+ hours I've spent in Arkham City, I can't wait to go back to collect those riddler trophies and smash some goon skulls in freeroam. With all of the little hidden secrets and references I found, I know there must be so much more to be found. I can't wait to start my "New Game +". Added to my CAG Want List.